This thriller/action film from director Hans Petter Moland, stars Irish actor Liam Neeson. 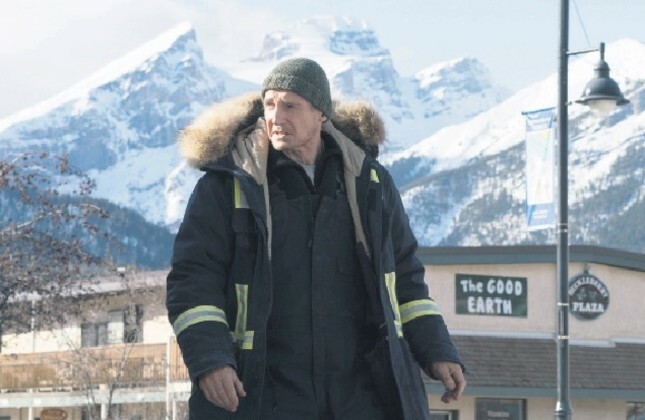 "Cold Pursuit" meets audiences this week. Neeson is accompanied by Emmy Rossum, Julia Jones, Laura Dern, Tom Bateman, Domenick Lombardozzi and William Forsythe in the cast. The film depicts the story of snow cleaning worker Nels whose son is killed by a drug baron. Focusing on a true story in Mumbai, the finance and entertainment capital of India. Directed by Anthony Maras, the film stars Dev Patel, Armie Hammer, Nazanin Boniadi, Anupam Kher and Jason Isaacs. In the film we see the portrayal of events over three days which caused chaos in the city, at the five-star hotel that has been in service since 1903. The hotel is one of the most important symbols of the city and known for being the base for attacks planned by extremist groups in Pakistan. The film is directed by Ramazan Özer and stars Hakan Meriçliler, Gürbey İleri, Semra Dinçer, Karel Gürtekin and Baran Şükrü Babacan. Falling into the genre of drama, the film tells the tough story of a young man with gastric cancer. Along with him, his father's life also turns upside down with the illness. Directed by Şevki Es and Faruk Aksoy, "Özgür Dünya" ("Free World") depicts the story of a young girl who fights for her father, her friends and her own freedom. The script of the film was written by Faruk Aksoy, Hüseyin Aksu, Evren Erbaşol and Burcu Üstündağ. The cast consists of Murat Serezli, Rabia Soytürk, Gürbey İleri, Sami Aksu, Hayal Köseoğlu, İdris Nebi Taşkan and Mekin Sezer. Directed by Erhan Baytimur, "Çat Kapı Aşk" ("Unexpected Love") is about the love story between a young girl who believes the love of her life will eventually come to find her and a young boy who cannot help his sickness, that he tries to hide from everyone and turn a blind eye to his problems caused by it. Written by Nesrin Zamur and Deniz Güney İşintek, the romantic comedy stars Müge Boz, Jess Molho, Nergis Kumbasar, Duygu Çetinkaya and İbrahim Selim. The Turkish thriller of the week, written and directed by Gökhan Arı, "Şeytan-i İns" ("Evil of Human"), focuses on a young man who travels from Istanbul to his village in order to reveal the secrets of his family. Directed by Deniz Tortum and Can Eskinazi, the documentary production "Anadolu Turnesi" ("Anatolian Tour") tells the story of four musicians who go on a tour with a rock band they formed in the summer of 2013. Having made a sensation with his first feature "Get Out" in 2017, Jordan Peele's new film "Us" takes the audience to witness the thrill that the Wilson family will experience at their beach house when unexpected guests show up. A U.S.-production thriller, the film stars Lupita Nyong'o, Winston Duke, Elisabeth Moss, Yahya Abdul-Mateen, Kara Hayward, Nathan Harrington, Tim Heidecker, Anna Diop, Shahadi Wright Joseph and Evan Alex. Japanese director Mamoru Hosoda's latest flick, "Mirai" tells the story of a 4-year-old boy whose life turns into chaos with the arrival of his newborn sister. Kun learns how to struggle with the feeling of loneliness and lack of attention through his magical realm in the backyard of their house.